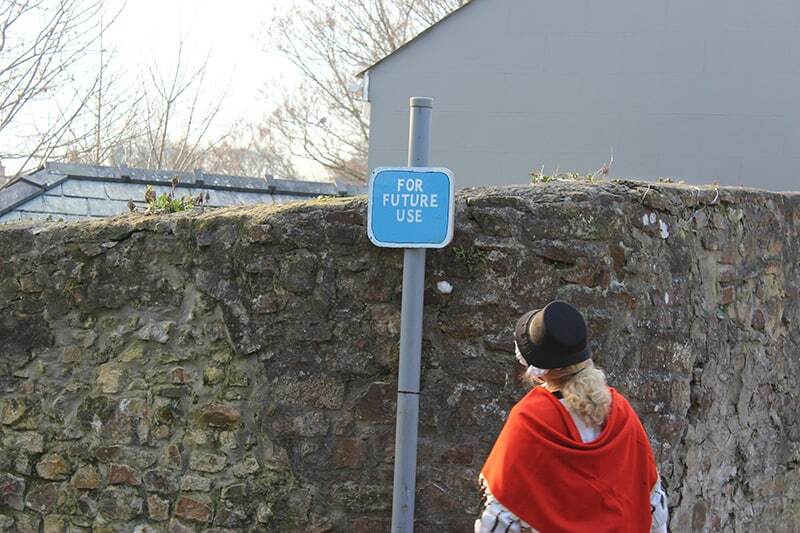 Four women, wearing authentic 19th century Llangwm fisherwomen’s clothes, walked into the town from four starting locations in the north, south, east and west, within a mile of the centre of Haverfordwest. Each route symbolising how the town centre and the routes to it have changed over time. Throughout their journey, in the course of the performance, each ‘fisherwoman’ was guided by the public, asking people they met in the street for directions to the town centre and whether they had seen, “anyone who looks like me?” For the next two hours the women kept on the move, asking people for directions to the town centre, and leaving lit tea lights in every location they were sent to, until they all met up in one. Encounters with the public were discreetly recorded by a small team following the fisherwomen, using film, photography and sound. Each of the four journeys were logged using ‘Map my Walk’, a GPS mapping app for mobile phones, and other geo location devices. 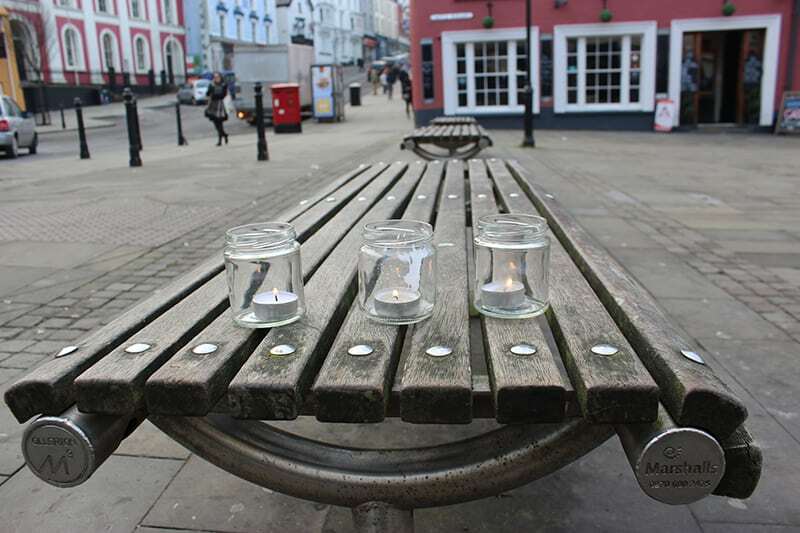 Once they had made it to ‘the centre’, the fisherwomen gathered in 17 High Street with members of the public they had invited, and who had come to share their thoughts and experiences of the morning’s conversations and interactions, and to help re-imagine a centre worth searching for. Janetka will draw upon the material gained throughout the day, and her research so far, to produce an artwork for publication which will be distributed locally in the Spring. Meanwhile look out for her own reflections on the day in this week’s Western Telegraph, or view here.